In October of 2007, the Universidad Nacional de San Martín (Argentina) hosted an International Symposium on the philosophy of Parmenides to celebrate the creation of the University’s new Center for the Study of Ancient Philosophy. The event—co-organized by the HYELE Institute for Comparative Studies (Switzerland) and Parmenides Publishing—brought together scholars from around the world to present their latest work and participate in discussion. 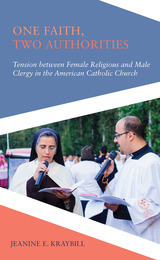 These Proceedings present the collected papers that were given—all fully translated into English—and edited by Néstor-Luis Cordero. During the two years leading up to the International Symposium, no fewer than seven books on Parmenides were published. This revival and resurgence of interest in Parmenides and the critical reviews of traditional interpretations of his poem made this the perfect time for a global conference dedicated to the renowned figure known as the true father of philosophy. The Symposium on Parmenides united the world's foremost Parmenidean scholars, with many participants having written one, if not several books on Parmenides. The proceedings volume therefore represents the most cutting-edge and in-depth scholarship on Parmenides available today, and will be a great and timely enrichment to the field of Presocratic Philosophy. Ennead VI.8 gives us access to the living mind of a long dead sage as he tries to answer some of the most fundamental questions we in the modern world continue to ask: are we really free when most of the time we are overwhelmed by compulsions, addictions, and necessities, and how can we know that we are free? Can we trace this freedom through our own agency to the gods, to the Soul, Intellect, and the Good? How do we know that the world is meaningful and not simply the result of chance or randomness? 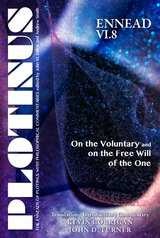 Plotinus’ On the Voluntary and on the Free Will of the One is a groundbreaking work that provides a new understanding of the importance and nature of free human agency. 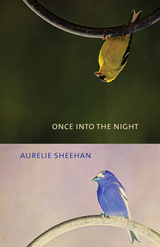 It articulates a creative idea of agency and radical freedom by showing how such terms as desire, will, self-dependence, and freedom in the human ethical sphere can be genuinely applied to Intellect and the One while preserving the radical inability of all metaphysical language to express anything about God or gods. Ennead VI.4-5, originally written as a single treatise, contains Plotinus’ most general and sustained exposition of the relationship between the intelligible and the sensible realms, addressing and coalescing two central issues in Platonism: the nature of the soul-body relationship and the nature of participation. Its main question is, How can soul animate bodies without sharing their extension? The treatise seems to have had considerable impact: it is much reflected in Porphyry’s important work, Sententiae, and the doctrine of reception according to the capacity of the recipient, for which this treatise is the main source, resonated in medieval thinkers. How was the universe created, and what is our place within it? These are the questions at the heart of Plotinus’ Against the Gnostics. For the Gnostics, the universe came into being as a result of the soul’s fall from intelligible reality—it is the evil outcome of a botched creation. Plotinus challenges this, and insists that the soul’s creation of the world is the necessary consequence of its contemplation of the ideal forms. While the Gnostics claim to despise the visible universe, Plotinus argues that such contempt displays their ignorance of the higher realities of which the cosmos is a beautiful image. 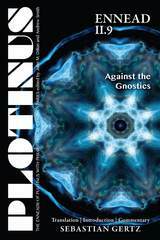 Against the Gnostics is a polemical text. It aims to show the superiority of Plotinus’ philosophy over that of his Gnostic rivals, and poses unique challenges: Plotinus nowhere identifies his opponents by name, he does not set out their doctrines in any great detail, and his arguments are frequently elliptical. The detailed commentary provides a guide through these difficulties, making Plotinus’ meandering train of thought in this important treatise accessible to the reader. 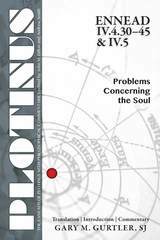 Ennead IV.4.30–45 and IV.5 retrieves the unity in this last section of Plotinus’ treatise on Problems concerning the Soul. Combining translation with commentary, Gurtler enhances both the accuracy of the translation and the recovery of Plotinus’ often unsuspected originality. This is especially true for IV.5, where previous translations fail to convey the concise nature of his argument against both the Aristotelian and Platonic theories of vision. Plato and Aristotle each claim that vision depends on the light between the eye and the object, but Plotinus presents evidence that this is not the case and develops a novel theory of light as a second activity that moves from source to object directly, even arguing that color is in the light itself rather than merely a quality of the object. This theory of vision, in turn, depends on the nature of sympathy developed especially in IV.4.30–45, where Plotinus shows how action at a distance is both possible and necessary for the proper unity in diversity of the sensible cosmos. The Statesman is a difficult and puzzling Platonic dialogue. In A Stranger's Knowledge Marquez argues that Plato abandons here the classic idea, prominent in the Republic, that the philosopher, qua philosopher, is qualified to rule. Instead, the dialogue presents the statesman as different from the philosopher, the possessor of a specialist expertise that cannot be reduced to philosophy. The expertise is of how to make a city resilient against internal and external conflict in light of the imperfect sociality of human beings and the poverty of their reason. This expertise, however, cannot be produced on demand: one cannot train statesmen like one might train carpenters. Worse, it cannot be made acceptable to the citizens, or operate in ways that are not deeply destructive to the city’s stability. Even as the political community requires his knowledge for its preservation, the genuine statesman must remain a stranger to the city. Marquez shows how this impasse is the key to understanding the ambiguous reevaluation of the rule of law that is the most striking feature of the political philosophy of the Statesman. The law appears here as a mere approximation of the expertise of the inevitably absent statesman, dim images and static snapshots of the clear and dynamic expertise required to steer the ship of state across the storms of the political world. Yet such laws, even when they are not created by genuine statesmen, can often provide the city with a limited form of cognitive capital that enables it to preserve itself in the long run, so long as citizens, and especially leaders, retain a “philosophical” attitude towards them. It is only when rulers know that they do not know better than the laws what is just or good (and yet want to know what is just and good) that the city can be preserved. The dialogue is thus, in a sense, the vindication of the philosopher-king in the absence of genuine political knowledge. 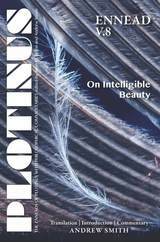 Ennead I.1 is a succinct and concentrated analysis of key themes in Plotinus' psychology and ethics. It focuses on the soul-body relation, discussing various Platonic, Aristotelian, and Stoic views before arguing that there is only a soul-trace in the body (forming with the body a “compound”), while the reasoning soul itself is impassive and flawless. The soul-trace hypothesis is used to account for human emotions, beliefs, and perceptions, and human fallibility in general. 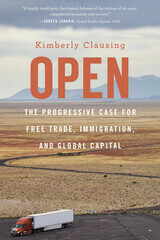 Its problematic relation to our rational powers, as well as the question of moral responsibility, are explored. 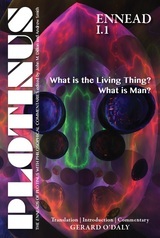 Plotinus develops his original and characteristic concept of the self or “we,” which is so called because it is investigated as something common to all humans (rather than a private individual self), and because it is multiple, referring to the reasoning soul or to the “living thing” composed of soul-trace and body. 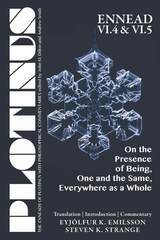 Plotinus explores the relation between the “we” and consciousness, and also its relation to the higher metaphysical entities, the Good, and Intellect. This celebratory Festschrift dedicated to Charles Kahn comprises some 23 articles by friends, former students and colleagues, many of whom first presented their papers at the international "Presocratics and Plato" Symposium in his honor (European Cultural Center of Delphi, Greece, 3–7 June, 2009). The conference was organized and sponsored by the HYELE Institute for Comparative Studies, Parmenides Publishing, and Starcom AG, with endorsements from the International Plato Society, and the Dean of the School of Arts and Sciences, University of Pennsylvania. While Kahn's work reaches far beyond the Presocratics and Plato, it is in these subject areas that the distinction of his scholarship has come to be regarded as virtually unrivaled. 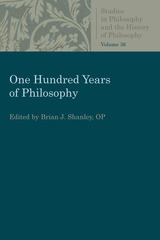 The articles contributed to this volume are by some of the most renowned scholars working on these topics today, their breadth and depth bearing witness to his profound impact and influence on the discipline of Ancient Greek Philosophy. Charles Kahn taught Classics and Philosophy at Columbia University from 1957 to 1965, and has since been teaching in the Philosophy Department of the University of Pennsylvania. He spent a year as Visiting Professor at the American School of Classical Studies in Athens, and had additional Visiting Fellowships at Balliol College, Oxford and Clare Hall, Cambridge, and a term as Visiting Professor at Harvard. 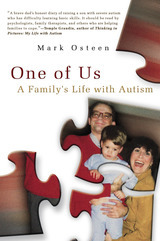 He is the recipient of several prestigious research grants, from the American Council of Learned Societies (1963/64 and 1984/85), the National Endowment for the Humanities (1974/75 and 1990/91), and the Guggenheim Foundation (1979/80). In 2000 he was elected Fellow of the National Academy of Arts and Sciences. He is the author of Anaximander and the Origins of Greek Cosmology, The Verb “Be” in Ancient Greek, The Art and Thought of Heraclitus, Plato and the Socratic Dialogue, Pythagoras and the Pythagoreans, and Essays on Being. His latest book,Plato and the Post-Socratic Dialogue, is forthcoming from Cambridge University Press. Plotinus’ Ennead V.8, originally part of a single work (with III.8, V.5, and II.9), provides the foundation for a positive view of the universe as an image of divine beauty against the Gnostic rejection of the world. Although it emphasizes the cosmic dimension of beauty, it is, as are most treatises of Plotinus, concerned with the individual soul. The notion that the artist has within him an idea of beauty that derives directly from the intelligible world in fact coincides with his theory that each one of us has access to Intellect through his or her own intellect. It is the exploitation of this theme that forms the central dynamic of the treatise, with its stress on our ability to "see" and be one with the intelligible world and its beauty. Files for college accessibility offices.